The process of switching web hosting service providers is simple and can be accomplished with minimal hassle and downtime provided certain steps are followed in order. Ensure that you have a full working copy of your website files, databases, cgi scripts, etc. stored on your computer. Make a record of any email address settings and passwords from your current provider. Order your chosen Pipe Ten web hosting service using a contact email address that is using a different domain from the one you are initially wishing to transfer, register or host. Create any databases required, upload your website using an FTP client or the online file manager and then test your website. Then setup any mailboxes, forwarders or mail services needed. In approximately 12-24 hours check your domain name to ensure it is pointing to your new Pipe Ten web server. At that point you should cancel service with your previous host provider. Make sure they remove your domain name from their DNS servers. 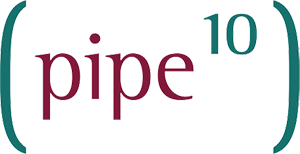 Enjoy reliable, hassle free, supported hosting service with Pipe Ten and best of luck with your online venture. Feel free to contact our friendly support team for help or clarification on any of the above.